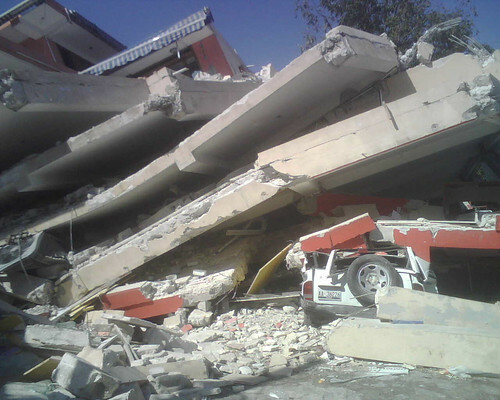 It has been in the recent news the devastating twin earthquakes that mostly flattened Haiti. While the rest of the world stared with horror and shock many people has lost their home, their family, their near and dear ones in a few minutes of nature’s whims. Help poured in from all quarters and my friends contributed their share, however I was still dumbstruck at what had happened. Me: A little about IMC and what you guys do ? Crystal: International Medical Corps is a global humanitarian organization dedicated to saving lives and relieving suffering through health care training and relief and development programs. We work in more than 20 countries in Africa, Asia, the Middle East, and now Haiti to give underserved populations access to medical care and other lifesaving services while helping communities rebuild and become self-reliant through education and training. We were founded in 1984 by volunteer doctors and nurses and have worked in more than 50 countries in our 25-year history. Me: A little about yourself ? Crystal: I am the communications officer for International Medical Corps and have worked for International Medical Corps for two years. I currently live in Chicago, Illinois and am originally from Boulder, Colorado. Me: How did you find Haiti after the quake ? Ground realities, anecdotes will be appreciated. Crystal: Our team was on the ground less than 24 hours after the earthquake struck, before much of the relief effort arrived in Haiti. It was completely devastated. 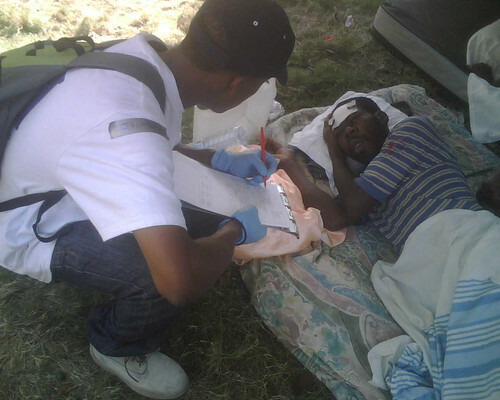 We started working the first night out of the Villa Creole Hotel, which had been turned into a makeshift medical clinic. We then moved to the General Hospital near the presidential palace. We have performed dozens of amputations – we just met a ballerina with the national ballet, for example, that lost her leg, but she promises that she’ll dance again. Just a couple of days ago, we treated a little boy, Monley, who was trapped for eight days under the rubble. He was miraculously unscathed, but severely dehydrated and emaciated. Our teams gave him an IV, some water, and a bit of rice and he was soon discharged. We are now monitoring him, just to be safe, but this shows that miracles are happening in Haiti, even in the face of tragedy. Me: A little about your efforts in Haiti post the earthquake ? 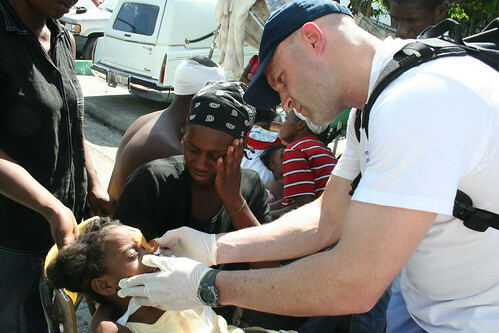 Crystal: We have been working at the General Hospital, providing emergency medical care and supporting medical clinics throughout Port-au-Prince. We recently launched mobile medical units to Leogane, Petit Goave, and other underserved areas in Haiti outside the capital. Me: How did things change when the second earthquake hit ? Crystal: At the General Hospital, we had to provide medical care outside because people were once again afraid to go indoors. We also sent a mobile medical unit to Petite Goave, the epicenter of the aftershock to provide medical care and assess what the damage is. Me: A little about the support and help that you received from everywhere ? Crystal: There has been an incredible outpouring of support for Haiti. Millions of dollars of medications and equipment have been donated, while individuals and corporations have also made cash contributions to support our efforts there. 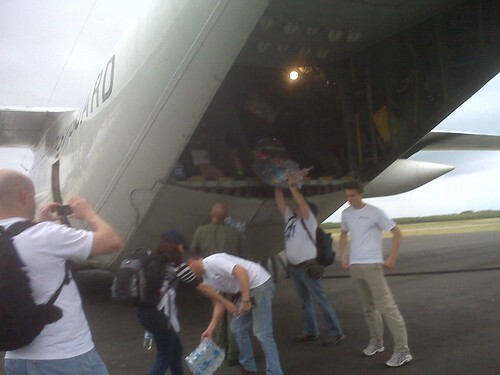 We have also had many people call wanting to volunteer and help in anyway that they can. Me: How can we, the netizens, help you ? Crystal: The best way to help is to give money and even $10 really does make a big difference. This will help make sure that we can continue to buy medicines and support our team and mission on the ground in Haiti – every little bit counts! 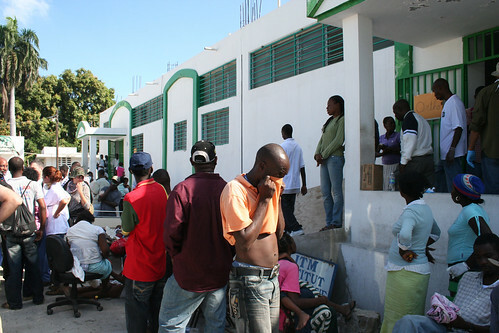 You can donate by visiting our website, imcworldwide.org, or texting HAITI to 85944.